A very warm welcome back to all my Blog readers! So, i’ll be writing what I observe or like in the function (which will be mainly Barun n Sanaya) ; I know many of you are aware of the winners already but I’ll let you know about the entire function and the various nominations went about …and I WISH that you like it!! WAIT! before we start off with the actual show. we have to walk thru the “rad Carpet’ which was hosted by Mami ji n Nanhe ji from “IPKKND. and firstly they all welcomed all the guests to the SPA n then all were enjoying the game of shooting ballons where khushi came to the SGP parivaar n took the gun to shoot …n min. later we see that there is a star on the board …but as we turn around all see that its “sajjan singh from Pratigya who actually shot it. it was sweet! after whihc everyone ws asked about if they knew what “3D mapping” was which is used this year …n with that we had glimses of the effect which was BEAUTIFUL!! and some funny acts n rasam khilai with our favourite characters led us to the final steps of red carpet …n the initial steps of SPA! Then next on stage Viren was joined on by Suhana who told the viewers abt the 3 leading ladies of SP visiting the “Vatsalaya” foundation who works of orphan children. These leading ladies were Khushi frm Iss pyaar ko kya Naam Doon (IPKKND) and Jeevika n Maanvi frm Ek hazaaron mein meri behena hai. they brought gifts for the children n invited them to SPA for a dance performance. This led us to the 2st performance of the evening starting with Khushi (Sanaya looking gorgeous in Green) on gun gun guna re…song frm Agneepath followed by Jeevika on Jazba (frm Ladies Vs. RB) n maanvi. And all dancing to the tunes of “all is well” frm 3 idiots wid all the kids dancing along around them – total fun !! After this, viren n Suhana had the “Fake” private diaries of few of our charactersn read them out loud, like Naitik’s which was filled wid the word “Pyaar” as i love watching my pyaari wife sleep; i wake her wid pyaar; i have pyaar bhari tea, lunch n dinner’ …to which Suhana joked as wht would Naksh grow n tell everyone abt his father’s profession tht “woh bahut pyaar karte hai” hahaha!! Then it was ahem’s diary in which he mentioned as on which date he got to say how many words as dialogues (poor guy); then came the diary of Arnav (Hmm..m) which read “got married to Khushi in the mandir …the idea worked …shaadi ka kharch bach gaya…n he got spared of having a fake smile for hours to the invitees @ their reception” …awww Barun looked aweomse as he cracked up on this! This finished when viren got hold of suhana’s diary which had tht she’s stuck up wid boring host on 24th for SPA …it was cutely funny! Next came the most awaited n expensive award of the function – “Nayi Soch kirdaar” wbt which Khushi told how the real diamond studded trophy was designed n then finely prepared for the winner. This award was given away by the two most good guys on TV at present, Virat (Kushal Tandon) frm EHMMBH and Ishaan (Jay Soni) frm Sasuraal Genda Phool. And the winner in this category is Jeevika (Krystal D’souza) frm Ek hazaaron mein meri behna hai. To present this award 3 guests were invited on stage tht included “Ranbir (Shaleen Bhanot) – Aaliya (Deblina Chaterjee) frm Sajda- tere pyaar mein along wid Manorama Mami (Utkarsha) frm IPKKND. And the award was won by Gopi (Jia Manek) frm Saath Nibhana Saathiya. Sooraj’s magical act wid BG tune playing. Pratigya came as Maa Durga to wipe off all injustice frm the worl n help the helpless. The act was stunning n powerful! This award was presented by Jigar (Vishal Singh) n Rashi (rucha) from Saath Nibhaana Saatiya. And the winner of this award was the most ‘love-to-hate-you’ character of the season “Shyam Jha (Abhaas Mehta)” from Iss pyaar ko kya naam doon (IPKKND). And this award too was bagged by the IPKKND sadasya – tht we all complaint abt for taking more screen space than our ‘Arnav-Khushi’ …yeah it was ‘Manorama Raizada aka Mami’ from IPKKND. As she got on the stage she walked up in pure mami avatar n started off her thnk u speech wid all famous line of hers “Helo-Hi-Bye-Bye’ ! while all this we cud see the IPK team having a blast n totally enjoying themselves. Then came the part where all the leading romantic Jodi’s os SP had to perform (well not all coz ASR-KKG were not in it). But is was worth a watch if u have any of the following Jodis as your favourites. The act began with Gopi – Ahem who both looked sweet in their pink-violet matching attires on a soft slow music (cant remember the song). This was continues by Naitik-Akshara on the tunes of song “bheegi si, bhaagi si…’ frm the movie ‘Rajneeti’ …they both looked fab as ever (well i like them too!). then came on stage to spread their ever cute romance was Ishaan – Suhana who were mesmerizing as they danced on song ‘dil yeh bekraar kyu hai’ from the movie ‘Players” (oh i wish this song wud have been picturised on Arnav-Khushi). And this was won by the Vishambhar Maheshwari (Sanjeev Seth) from yeh Rishta kya Kehlata hai. And to give away this award two new guests were called on to stage, the two most unliked-YET-liked characters of SP, n they were – Urmila bain (Vandana Vithlani) from Saath nibhana saathiya and Swamini Bua (Seema Kapoor) from Ek hazaaron mein meri behena hai. And the winner of this category was the newest Bahu of SP “Sandhya (Deepika Singh) from Diya aur Bati hum. This was given away by Dani Sharma and Maanvi from EHMMBH. And it was won by sandhya (deepika) from Diya aur Bati hum. Shailja (badi maa) slapping Ishwar n debarring him off of all rights as her husband. Sandhya tells Bhabho why was it important for her to go VOTE. Gopi decides to go to school after marriage n family, esp. kokila supports her. When in Mater-chef 2, Joseph says that he wants to fulfill his father’s dreams n gift him a restaurant. The true Indian survivor girl – Raj Rani (state level hockey player) in SurvivorIndiaas the one wid ‘never-give-up’ attitude. And this award was won by SNS team when they decide n support Gopi’s decision of studying after marriage. And for this, Kokila called on stage the hosts of upcoming singing show of SP. So entered Mandira Bedi, Shantanu moitra n one more person to give away this awards. 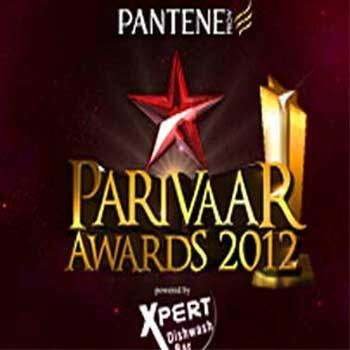 And the winner of this category were “Ritesh Deshmukh & Sonakshi Sinha” for hosting an award function on SP. Ritesh came n recived the award for him n on behalf of Sonakshi. Asnd as he left the stage, Mandira called on another Host – coz there had been a tie in this award too – she called upon “Ayushmaan Khurana” from “just Dance” show. Coming back to award, Khushi announced it, the winner is “Viren (Karan Tacker) from EHMMBH. But as he got to stage, Khushi off wid her antics didn’t present him the award n asked to tank everyone before. So he did n finally said “now i’ve done it …ab toh dede yaar” awww. And so she presents the trophy to him. Before the winner of this category was announced the hosts asked the husbands of all nominated patni’s to tell everyone why their wife should win it. So one-by-one Naitik, Ishaan, Viren,Krishna, Sooraj gave the reason as to why they adore their wives. Finally came the winner name, and it is “Suhana (Ragini Khanna)”s from Sasural Genda Phool. 19.# Favourite International Jodi for which the nominations were the same as for the Favourite Jodi. And this award was presented byKrishna(Arhaan Behl) and Pratigya (Pooja Gor) from “Mann ki awaz – Pratigya’. And this award too was won by the favorites (mine too) Arnav-Khushi n this time Khushi aka Sanaya was like super excited as their names were called n started jumping n dancing, Arnav on the other hand took a min. to get up n joined the exceitement by flaying his arms like “YAYYYYYY!” n they walked to the stage to receive their award. Arnav got to the mic first n said “Khushi ke aane se pehle bol leta hoon”, but all he cud say was ‘h-mm’ and like alwaz Khushi took over. They once again thanked all their viewers, fans, team of IPK, producers n Gul. Arnav aka Barun was sure to thank his real-life wife again n also his sister n niece (awww he’s soooo cute). That lead up to Kokila n Viren who then directed us all to the closing act of SPA where the main characters of SP were dancing on the stage n finally were joined on by the winners of the various awards of the evening! IT WAS a BLAST – SPA!